Ona guarantees the quality and performance of all our products. Items with defects in materials or workmanship will be replaced or repaired at the discretion of Ona for the practical lifetime of the product. Product damaged through wear and tear, misuse, or neglect may be repaired at a nominal charge. Before returning any items, please contact Customer Service at customerservice@onapolo.com or call us on +44 (0) 7976729094. When returning an item, please select a guaranteed delivery service that provides parcel tracking information, insurance and proof of delivery. Ona is not responsible for items that are lost or damaged during shipping and cannot replace parcels lost during return shipment if proof of tracking is unavailable. The warranty policy covers defects in materials or workmanship for the practical lifetime of the product. Material refers to zippers, buckles and fabrics. Workmanship refers to seams, seam tape and construction. Damage due to wear and tears such as rips, tears, abrasion or UV degradation, misuse or neglect is not covered under our warranty policy but may be repairable for a fee. 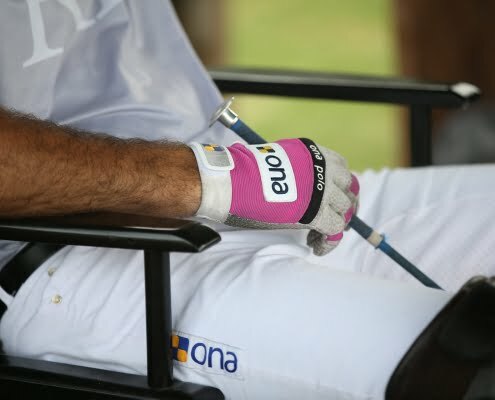 If your Ona product fails due to a manufacturing defect, where possible, we will repair the item at no charge to you. If the product is not repairable, or the cost of the repairs exceeds the value of the product, we may, at our discretion, choose to replace the product instead. While we pride ourselves on building products that will last over extended periods of use, nothing lasts indefinitely. Fabrics will deteriorate and fade over time and moving parts will wear out. We will cover your product under our warranty policy until such a time that we have deemed the product to be worn out beyond reasonable repair. If the product is showing the signs of its age—for instance, the fabric has become thin or faded, there are rips and tears, or the zippers no longer catch—we will take this into consideration when assessing your product for a warranty request. All gear will suffer from differing degrees of wear-and-tear, depending upon the user. Equipment used by a professional player will by comparison, degrade faster than gear used by a weekend player. By taking care of your equipment you will ensure a longer lifetime for your gear. We recommend that you visit our Product Care page for more information on how to wash and care for your equipment. Use your judgment when assessing whether your product is likely to be covered under our warranty policy. It may simply be time to replace your product, and we hope that Ona will have the opportunity to provide you with superior quality products and service in the future.